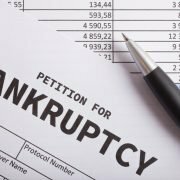 Chapter 7 Bankruptcy Archives | Florida Law Advisers, P.A. If you are in the unfortunate situation of being unable to pay off your credit cards, you may have a solution in bankruptcy. Credit card debt in bankruptcy is a very common solution for people struggling with debt. Everyone case is different, so you’ll need to speak with an experienced bankruptcy attorney to determine the best course of action for yourself. For many, bankruptcy is the best solution when credit card debt is out of control. You may be able to wipe out credit debt without even paying a portion of what is owed. For more information on credit cards in bankruptcy, contact a bankruptcy law firm in Tampa to schedule a consultation. Credit card debt in bankruptcy is almost always treated as an unsecured debt in Chapter 7. See bankruptcy law 11 U.S.C. § 109(e). Unsecured debts are loans which are not secured by collateral. Collateral is something used to establish trust for a loan; the typical example is when one uses a home as collateral for a mortgage. Because there is no collateral needed for most credit cards, the debt is treated as unsecured in Chapter 7. Unsecured debts, such as credit cards in bankruptcy are typically discharged without having to pay even a portion of the debt in a Chapter 7 case. If a debt is discharged in bankruptcy the borrower (debtor) will be released from personal liability on the debt. See bankruptcy law 11 U.S.C § 727. Further, the discharge prohibits a creditor from taking any collection action against the borrower. 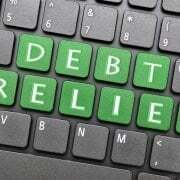 Therefore, if your credit card debt is discharged, the debt owed will be wiped out. However, there are many nuances of bankruptcy law which can prevent a discharge of certain debts. 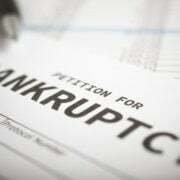 Therefore, it is important to seek counsel from a bankruptcy law firm in Tampa before filing a petition for Chapter 7. There may be potential pitfalls to bankruptcy you would not be aware of without competent legal counsel. At Florida Law Advisers, P.A. we understand that credit card debt in bankruptcy can be a very confusing and intimidating process. That is why we work so hard to make the case as easy as possible for our clients. When you hire Florida Law Advisers, P.A., you get an experienced bankruptcy lawyer in Tampa by your side throughout every phase of the bankruptcy process. We will help ensure your rights are protected, keep you well-informed every step of the way, and help you receive the utmost protection bankruptcy can offer. 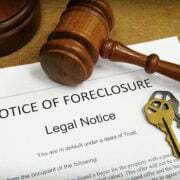 To schedule a free consultation with a bankruptcy lawyer in Tampa call us today at 800 990 7763.